Do you struggle with cooling your home in Summer? InfraCOOL® Technology helps keep surfaces cooler by reflecting more sunlight before it's absorbed as heat. 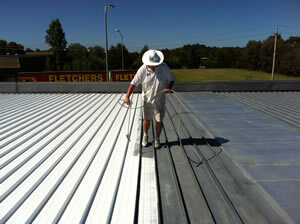 Start saving money and improve the energy efficiency of your building with a reflective roof coating from your Canberra painter, Fusion Painting, today.